I’m surprised Gov. Mary Fallin and other Republican leaders didn’t hold a big ceremony Monday as the governor signed the new workers’ compensation “reform” bill into law. After all, the GOP has touted for weeks how Senate Bill 1062, the measure changing the state’s workers compensation system, is “historic” and, as with just about every other legislation Republicans pass, is sure to bring a stampede of regulation-escaping businesses here. Instead, Fallin issued a short press release with the usual dose of Republican mythology. “This is an important pro-growth policy,” Fallin mentioned, “that will help us attract jobs and build a stronger and more prosperous Oklahoma.” We’ll all live happily ever after, right? What the press release doesn’t mention, of course, are the recently released statistics about the state’s workers either killed or injured on the job in 2011. The numbers, which I will get to later, aren’t good. The new workers’ compensation bill, of course, includes nothing significant to promote workplace safety as it reduces benefits for workers. It seems to me that a civilized society would be more focused on preventing job-related injuries and deaths than making it easier for companies to escape their responsibility for maintaining unsafe work environments. Safer workplaces here and elsewhere would bring down costs for everyone, including businesses. Workers’ compensation is a process by which injured workers are compensated for medical costs and lost work time. The process can vary state-to-state. SB 1062 changes the Oklahoma workers’ compensation process from a judicial process to an administrative process. It allows companies to opt out of the system entirely if they provide their own benefits for injured workers. It also reduces maximum benefits for temporarily and completely disabled workers from 100 percent to 70 percent of the state average weekly wages. Injured workers who make less than the weekly average will, of course, only get 70 percent of their own wages, not the state average. The highest amount a temporarily disabled worker can receive under the new system has gone down from $771 to $539.70. Changing the system to a supposedly less adversarial administrative process will bring Oklahoma in line with most states, but it’s difficult to see it as a panacea. The opt-out measure could be hard to enforce for compliance and open the doors for businesses to provide only minimum coverage, which was set at a $2 million policy with medical costs capped at $500,000. The reduction in benefits is simply that, a reduction in benefits for workers who are seriously injured on the job. All of this is supposedly going to reduce workers’ compensation insurance costs for businesses here. If it does, and that remains to be seen, it will be at the expense of workers. It’s simply impossible to see it otherwise. That the system here needed streamlining or structural changes is one thing, and such changes can be argued, but allowing companies to opt out of the main system and actually reducing the amount of money a seriously injured worker can receive are not so arguable for what they signify. These two changes are clearly designed to help companies at the expense of workers, some of whom do extremely dangerous jobs day after day. Dangerous work coupled with unsafe work environments leads to deaths and injuries. In Oklahoma, 86 people were killed on the job in 2011, the last year for which statistics are available, according to the U.S. Department of Labor. That’s a rate of 5.5 percent for every 100,000 workers, which is higher than the national rate of 3.5 percent. In addition, 40,600 Oklahoma workers were injured on the job in 2011, the organization reports. Nationally, 4,693 workers were killed on the job in 2011, the department reports. These numbers here and across the country have been fairly stagnant since 2008. The AFL-CIO argues that a main reason for the bleak numbers here and elsewhere is because the Occupational Safety and Health Administration (OSHA) can’t perform needed workplace inspections because of its inadequate funding and low staff levels. 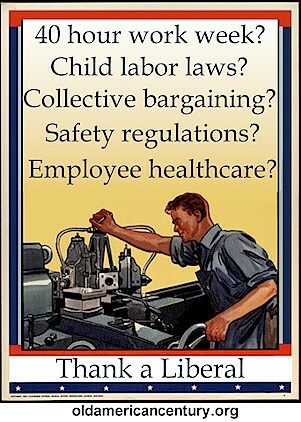 Oklahoma doesn’t have a state OSHA program, but the AFL-CIO point applies here as well. Performing workplace inspections and eliminating job-related deaths and injuries in Oklahoma should be just as an important issue as trying to help corporations reduce costs related to safety issues. That’s not going to happen in Oklahoma anytime soon under its Republican-dominated government, and so the tragedy continues.